SKU: AWC. Categories: Equine Friendly, Wood Cleaners. 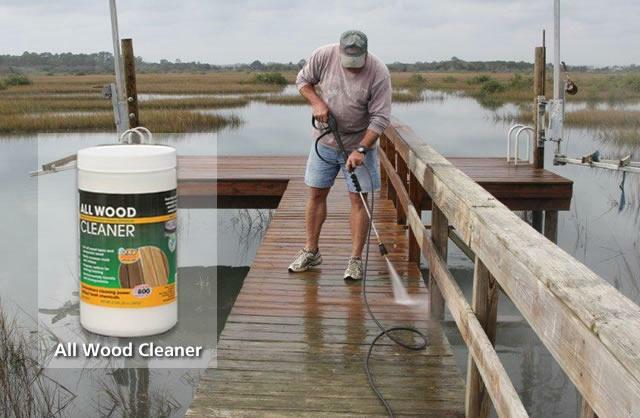 Tags: All Wood Cleaner, allwood cleaner, Brick, cleaner, cleaners and stains for Wood, Composite Decking, Concrete, dock, dock cleaner, Exotic Wood, Green Waterproofers, Masonry, new image, New Image Coatings All Wood Cleaner, wood cleaner. All Wood Cleaner is recommended to deep clean and prepare surfaces prior to applying initial coats of Seal-Once Poly Blend, Seal-Once Total Wood Protection and Seal-Once Marine. All Wood Cleaner combines brighteners to remove unsightly wood discoloration, including gray UV damaged wood. 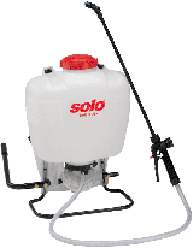 It easily and safely removes mold and mildew stains and dirt. All Wood Cleaner provides extraordinary cleaning power without chemicals and contains no harsh bleach. All Wood should not adversely affect cultured (manmade) stone. Do not use to remove recurring mold and mildew stains from wood tinted with Seal-Once. Mix and stir frequently for 15 minutes prior to use. 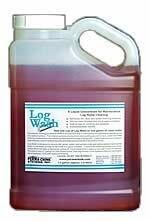 Do not store All Wood Cleaner that has been mixed with water in a sealed container due to pressure build up. Do not use All Wood Cleaner. Use a mixture of one gallon of water, 14 oz. of household bleach and one ounce of Dawn® dishwashing detergent. Please Note: Test first on inconspicuous spot, Mix a stronger solution as needed in heavily soiled areas. For each gallon of water add 1/2 cup of All Wood Cleaner. Scrub with a bristle brush, keeping the area moist while brushing and rinse with water. A pressure washer may be substituted for the scrub brush for best results. All Wood Cleaner is safe to use according to directions. Do not store All Wood Cleaner that has been mixed with water in a sealed container due to pressure build up. Avoid eye and prolonged skin contact. Keep out of reach of children and pets. Do not ingest. All Wood Cleaner is available for shipping both domestically via FedEx and internationally. For shipments outside of the continental United States please call 888-208-2248 for a quote. Ground shipments only to Canada. 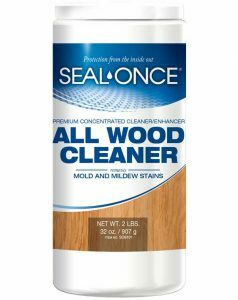 Be the first to review “All Wood Cleaner” Click here to cancel reply. Right side shows before All Wood Cleaner, left side shows after All Wood Cleaner on 20 year old unfinished White Pine Shiplap Siding.